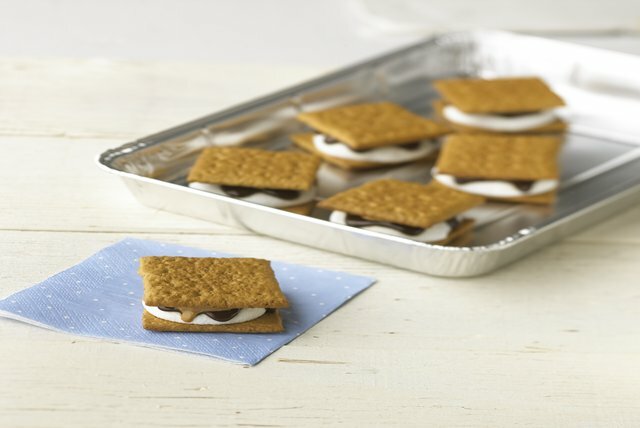 Just when you thought toasty s'mores couldn't get any better! With the addition of peanut butter, these s'mores treats go from ordinary to extraordinary. Prepare as directed, adding a layer of sliced bananas to the filling before covering with the remaining wafers. Heat oven to 350°F. Assemble recipe as directed in 13x9-inch baking pan. Bake 9 to 11 min. or until marshmallows are puffed and chocolate is melted. Continue as directed.